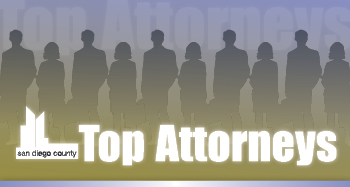 My practice is primarily focused on patent and trademark prosecution and client counseling. Consequently, “major cases” in my practice area have a different meaning than, for example, in litigation. I measure success by my clients’ ability to accomplish their intellectual property business goals. For example, one of my clients has successfully obtained Department of Defense funding for five of their inventions. Another has successfully licensed their patents to major pharmaceutical companies. Yet another built a substantial patent portfolio which helped them to achieve an IPO and another successfully avoided infringement and secured freedom to operate based on our work. My scientific background is somewhat unusual in that I conducted molecular biology research in plant, microbial and human systems in academia and industry. This broad background was advantageous when I moved from bench science to intellectual property law. I worked at my prior firm, BSKB, while attending law school at night. After becoming a partner in 2009 and interacting with more start-up companies, I realized many of those companies could have been more successful if they had been able to develop an overarching IP strategy early on in their development. I began Gorman IP Law APC to address this need. I am an active member of the North County Bar Association in San Diego. Outside of the legal community, I have participated in events for Oxbridge Biotech Roundtable (OBR) and attend meetings of the Sino-American Biomedical and Pharmaceutical Association (SABPA). I am most pleased that I have been a recurrent invited speaker for the Lab-to-Market class at The Rady School of Management, UCSD. I also participate in other, less formal gatherings of entrepreneurs. My eldest son and his family live in China. As a result of visiting him, studying Mandarin and also developing business in China, I have gained a great appreciation for Chinese culture. I have also been fortunate to develop a number of close relationships with people in the business and legal communities in Beijing and Chengdu, especially. While I had dreamed of a science Ph.D. from the time I was in eighth grade, my life went in a different direction after college; I married and started a family. After spending about eight years at home raising my children, I was anxious to return to science. But as a “non-traditional” student, I had to convince my graduate thesis advisor to take a chance on me. He did, and I was able to realize my dream. That series of events has influenced the way I interact with my clients; my goal is to help my clients achieve their dreams.